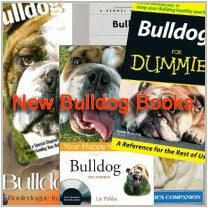 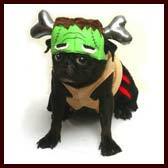 For pugs, see also: Pug costumes and for bulldogs, see Bulldog costumes. 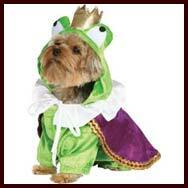 For large and giant dogs, see Halloween costumes for large dogs. 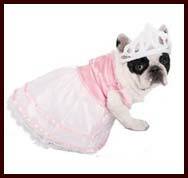 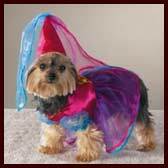 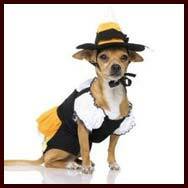 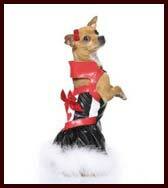 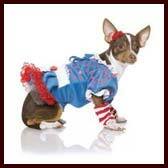 Here is our selection of Halloween dog costumes and dog party costumes for special occasions (wedding, birthday, etc.). 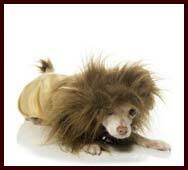 When selecting a dog costume, please make sure the costume is safe and comfortable, and doesn't restrict your pet's movement, vision or ability to breathe or bark. 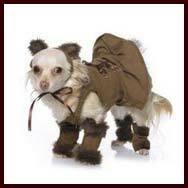 Extra Small fits up to 6"-9"
Small fits up to 9"-12"
Extra Small fits up to 8"